We fed our baby a laundry list of foods so we would expose him to a wide variety of flavors at an early age — avocado, beets, lentils, barley, etc. We made almost all of our baby food, starting with veggies and not the sweet fruits until later. He is now 2 1/2 and would prefer to live off Dino nuggets and french fries. If I had to sum it all up, I think we are disappointed that we did everything “textbook” from the beginning and we ended up with the same result as if we hadn’t put in any effort. He won’t eat veggies unless it’s a potato and he prefers to consume calories only in breakfast and snacks with maybe a few bites of lunch or dinner. I get emails like this all the time and the story is very similar. Parents do the best to get their child off to the right start only to find he turns picky anyway. 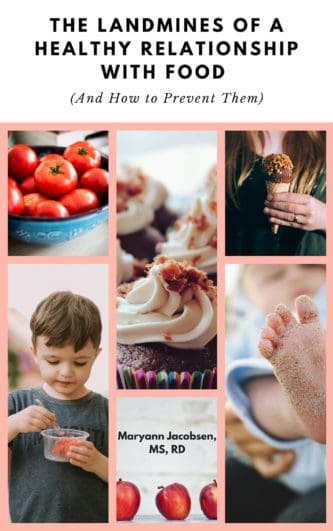 In this first post in my second picky eating series, we are diving into development and how it relates to eating. I believe this is the first place someone should turn when picky eating is not going away. 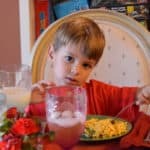 Picky Eating or Normal Child Eating? 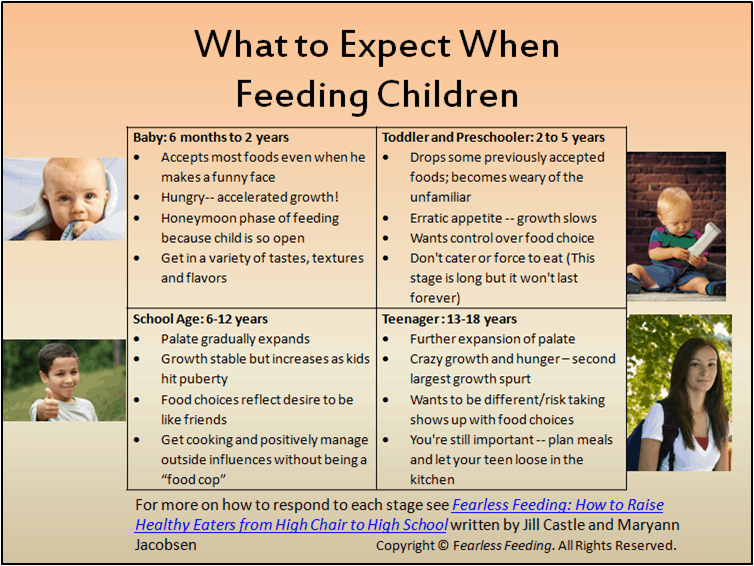 One of the reasons picky eating is so hard on parents is that children start life very accepting of food at a time when growth is at its highest. 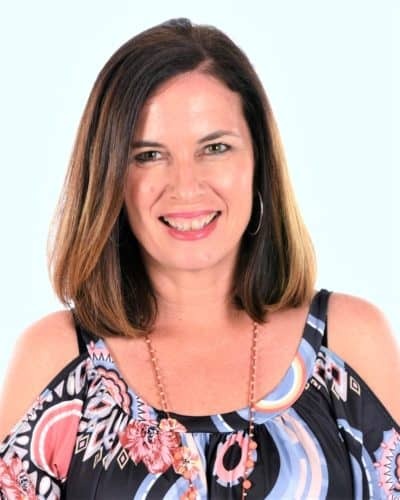 When a child all-of-a-sudden becomes more selective as growth slows, it worries and disappoints parents (for more about why this happens see this post). But eating this way isn’t always problematic or something that needs to be fixed, but a normal part of a child’s development. Instead, it ‘s something parents need to expect and understand. And it can happen when you least expect it. 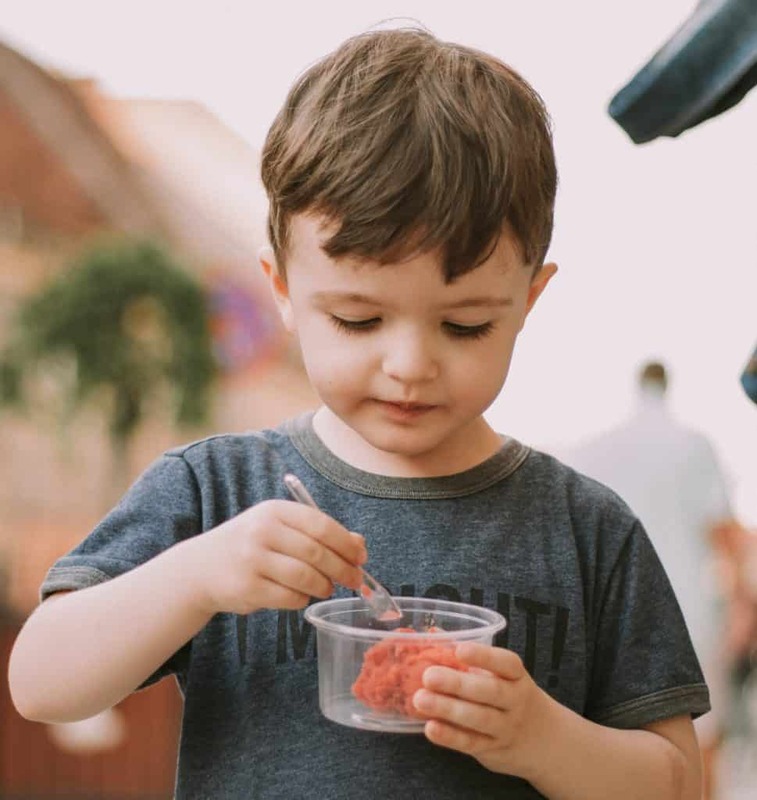 There is no official definition of picky eating but Kay Toomey, Ph.D., pediatric psychologist, defines it as a child who eats about 30 foods but can still tolerate new foods on their plate and eats from most food and texture groups. This is different than problem feeders that eat 20 or less food and have trouble tolerating new items on their plate, something we will get in detail in the next post. 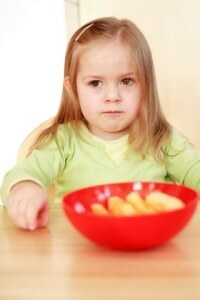 The food neophobia (fear of new food) linked with picky eating peaks from ages 2 to 6 years of age. That doesn’t mean picky eating disappears by age 6, but it typically gets better as kids enter school. So if you have a child who turned picky at age 3 and isn’t much different at age 4, that is pretty normal in terms of development. 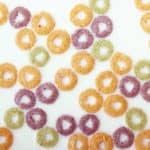 Trying to fight against this has the potential to negatively color a child’s eating for the next stage, keeping picky eating alive instead of gradually getting better. 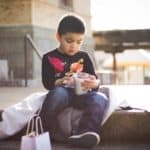 The key is not to get children to eat as so many try, but to get through this stage with a child who feels good about eating while still being exposed to a variety of food. Miles, always a good eater, came home from his first-grade class asking for foods like mac and cheese and chicken nuggets. His mom was taken aback and when into lecture mode about how he needs to eat the food she makes and how unhealthy those items are. Psychosocial development plays out in friendships. The desire to belong is a normal part of development, and eating what other friends eat is part of belonging. 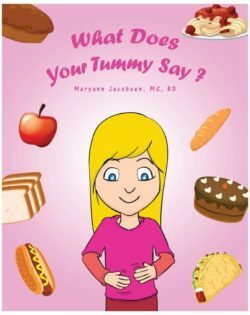 This desire is strong enough to change not only what and how much your child eats but also how she feels about herself. Media images and food ads also have this power. Again, trying to fight this normal development makes a mountain out of a molehill. In the case above, Miles’ mother could have one night where Miles gets to choose dinner but he will need to help prepare the meal. And of course, there are healthier preparation methods for chicken nuggets and mac and cheese. This way, it’s a win-win instead of Miles feeling like he is being forced to eat food he doesn’t like. When Little D started through the very resistant stage I was completely prepared. I remember my husband making a few comments like “He didn’t eat much at lunch” and I’m like “Really? Haven’t you learned anything from me? The key was I knew what to expect, I understood nutritional needs and how to meet them and I kept meals pleasant. Yeah, I could wrestle him for that one bite but why? I’m anticipating the next stage where he will expand his eating as his big sister has. I know that like with anything, enjoyment is key to his learning. Parents read books to children way before they know how to read. They encourage children to scribble before they know how to draw. 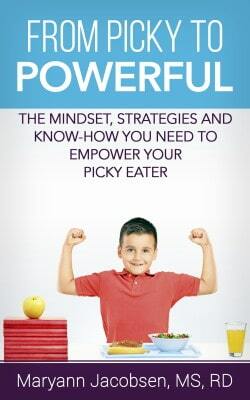 Parents need to be okay and encourage eaters who are still learning. 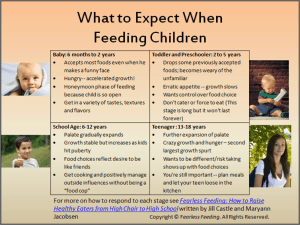 The chart below (click to enlarge) is a reminder of what parents can expect and why taken from Fearless Feeding. When we are prepared, we begin to see other benefits besides food that is eaten. A happy child who is curious, albeit cautious, about new food. A child who is learning at his own pace and feels the love and support with every meal. A child who runs to the table instead of having to be dragged. This just the tip of the iceberg. We will get into problem feeders next and will discuss other factors that keep picky eating alive longer than it has to be. What developmental stage are you experiencing now? 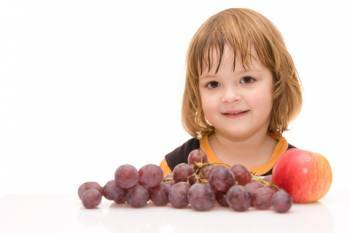 Does it help understanding how your child’s development relates to eating? Our usual rule for eating is “If you want dessert, eat most of what’s on your plate.” I know my about-to-be-3 son’s stomach is small so it’s all very small portions but usually about 4 things on his plate (some protein, 2 veg/fruit, and a carb), but I feel like we’re battling the “My tummy so full. Can I have dessert?” thing EVERY night. I don’t see that anywhere in here, so does that mean I’m seeing a behavioral issue and NOT a food issue? We were going through the “Did I eat enough to get dessert?” negotiations every night too and I was sooooo tired of it! My kids are 6 and 8 and we sat down and talked about it one night and agreed that two nights a week (they chose Sat and Sun) they can have dessert no matter how much dinner they eat. The other nights of the week we do not have dessert. I was actually surprised they agreed to it so easily, but so far so good, and it has made dinner time much less stressful. 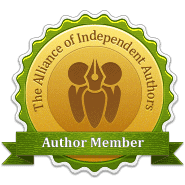 As usual, great post Maryann! I like that you’ve turned this into a series so you can break down the details further. I wanted to chime in on Melanie’s comment from above…. 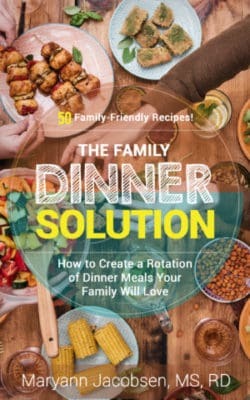 Melanie, it is very interesting to see the changes from plating food to serving family style. It is neat to observe their choices, and gives them more room to explore. As for the dessert situation, I would encourage you to read some of Maryann’s other posts about that topic. It really diffuses the battle when dessert, if being served, gets offered with the meal. It may seem counterintuitive, but it works. It takes the emphasis off the food and onto self regulation. Ellyn Satter’s DOR can also explain this in more detail. Hope that helps! Great first post in your series. I am going to share this widely on the Child Nutrition Meals Matter LinkedIn group. I hope to have some good discussions around this topic. absolutely loved this post. I was some of the picky eater tips but never heard of a learning plate – starting that immediately!! Thank you so much. I have an absolute FUSSY eater who is 3 and a 1/2 years old……he has to be forced to even drink a glass of milk..He dsnt like anything in particular otherwise i would feed him entirely on it…..he takes 2hrs to finish even a cup of milk and even induces vomiting when asked to eat or finish his meal.. what can i do? i worry that he will have retarded growth since he is already smaller than the kids in his pre pep class. am stressed out and really frustrated…..
I’m late to the game, but thank you for this! My once adventurous eater now seems to live on peanut butter, raw veggies, and bananas. 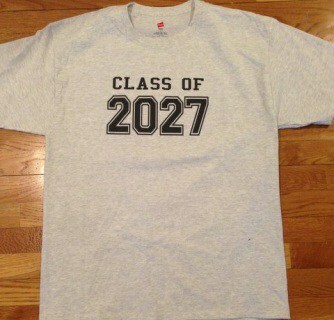 I felt like our choices were shrinking by the day. He’s 4 and just started a new preschool. I believe some of that peer pressure is getting to him. I’ll hope that he one day returns to his usual “let me try” self. He’s also a VERY slow eater. Dinner can last nearly an hour some nights with constant reminds to sit and focus on his food. I don’t want him to scarf down his food, but I also know he doesn’t get that kind of time at school. Any tips to encourage quicker eating without turning him into my husband…who barely chews his food? Thanks, Frankie. I think it’s reasonable to set a time for dinner and remind him as it gets closer. Maybe 30-40 minutes? Let him know and explain why. Also, sometimes when kids act out with food they are trying to deal with difficult feelings. Like stress related to a new school etc.